With the free version of Adobe's PDF file viewer you can make limited changes to PDF files. For more features, you'll need to buy the full version of Acrobat or another similar tool. There are, naturally, some great freeware programs that also allow you to edit PDF files without parting with any cash, but here's one that actually runs online in your browser. So not only is it free to use, you don't even need to download or install any software. 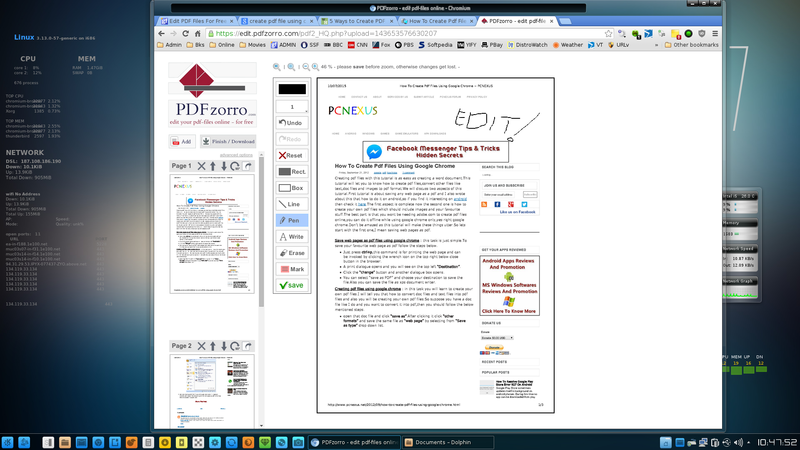 To try it, head to www.pdfzorro.com and upload your chosen PDF file. You can then add text, annotations, lines and shapes, and so on. When you're done, save the file and you can download the revised version to your PC. The only caveat is that you are best not to upload any confidential files to the remote server for editing. Sorry about last comment, just put glasses on and brain in gear and found the rest of the sentence.
" The only caveat is that you are best not to upload " Why is it so?? Seems not to be a problem. I just tried editing a PDF file made by Chrome, and it turned up a blank page. So this won't work for me. Worked fine for me using Chrome, result below. Best guesses - either you did not wait long enough for the service to load or you have a browser extension or security program interfering with the process. MC - Site Manager. Ok will give it another try. Awesome! Have previously tried something similar, but this one is better.